When it comes to jewelry, I've never been a "one or the other" type. I've always been a fan of both gold and silver pieces. But over the years, I've transitioned to more minimal accoutrements instead of my one-time statement pieces. Here are some of my favorite gold accents that I think are perfect for summer. Find styles by Kendra Scott, Tory Burch, Elizabeth & James and more! If you like the pieces from Rocksbox, be sure to use my code cherylbff59 to get your first month free. 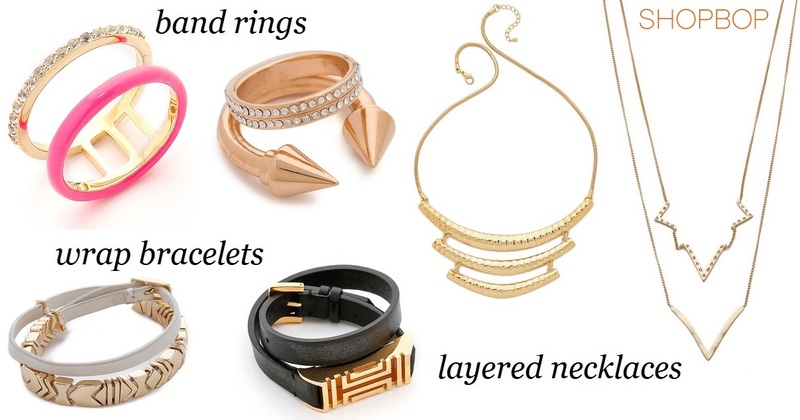 In that month you'll get three pieces of designer jewelry tailored to your style that you can wear at no cost. If you don't like the jewelry, just send them back. So from the items below, which are your favorites? I've definitely been gravitating to more minimalistic jewelry lately - I can't stand how awesome some of these pieces are! I used to avoid gold because I thought it was for old ladies but these days I like it as much as silver and rose gold is lovely as well. 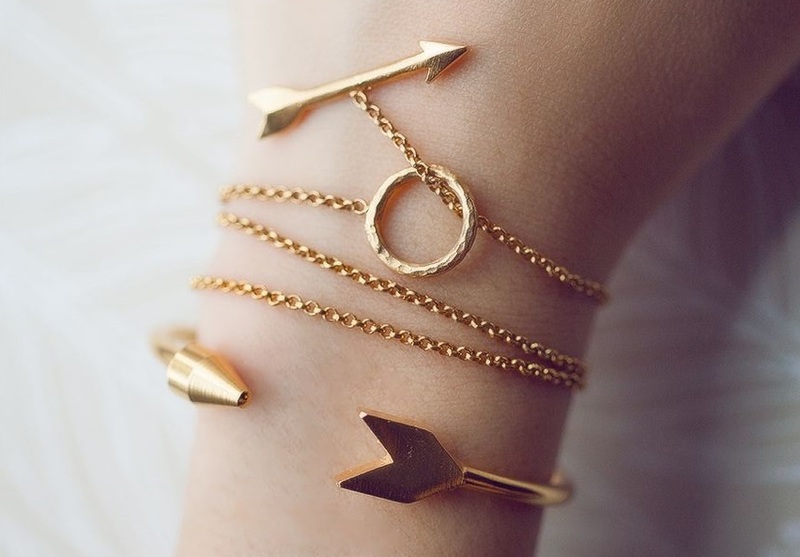 That's one pretty arm party! Gorgeous pieces. I'm usually floating back and forth between silver & gold, but definitely loving gold more recently. Love the ones with triangular shapes! I used to do the whole statement piece thing myself, but I am far more into minimal marvels nowadays - loving the beauties you featured here! I want them all, OMG these are all so gorgeous! I love how these pieces are so minimalistic and pretty. I’m leaning towards simpler designs these days. I love gold and silver jewelry too! I really love the designs you've featured. All right up my alley!